I pretty much think St. Patrick’s Day in the best holiday ever when you have a preschooler. I remember being in the classroom and planning fun surprises from the mischievous little leprechaun. 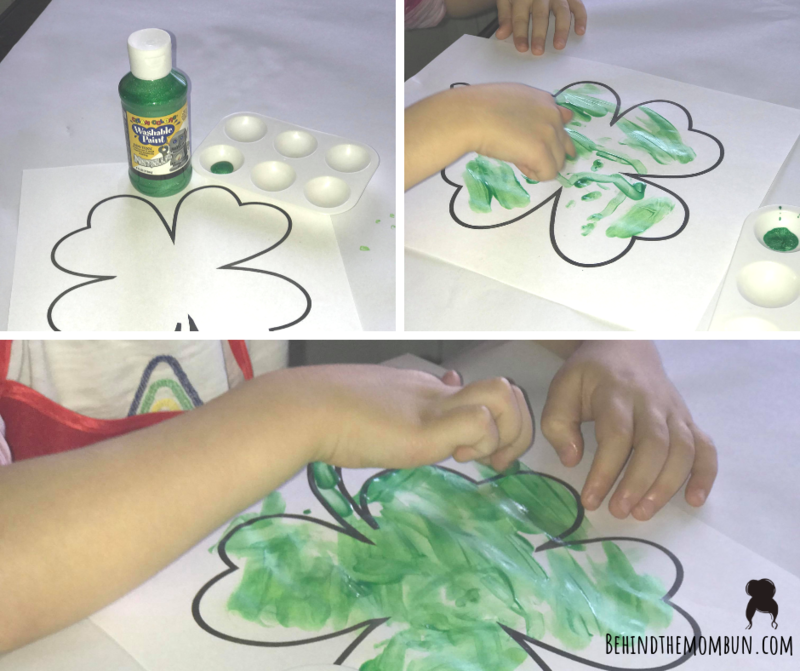 Crafts are fun no matter what but with St. Patrick’s Day there is just something extra special about the bright gold coins, colorful rainbows, and of course the four-leaf clovers. 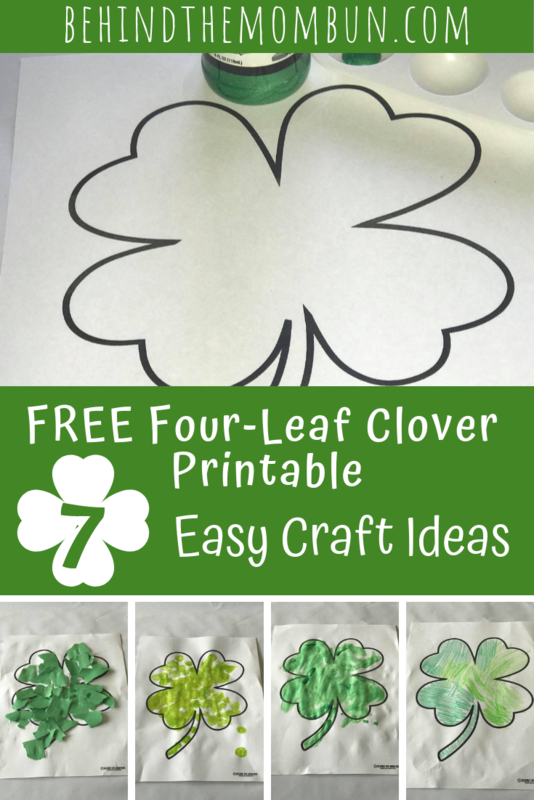 You will love these four-leaf clover crafts because this one printable can be used over and over again. And, because I am a total Teacher Nerd, I included some educational tips throughout as well as some book recommendations. Who says learning can’t be fun?? 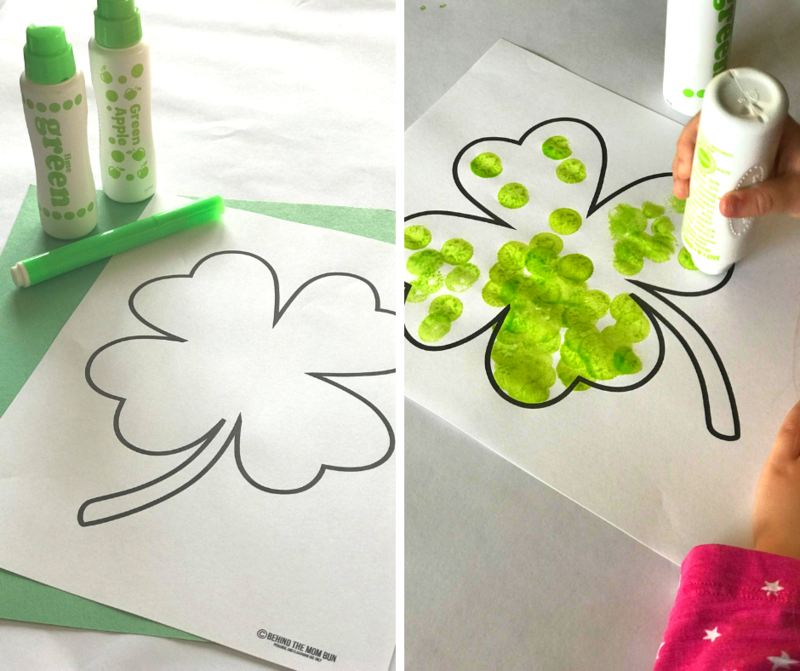 The first and obvious way to use this four-leaf clover printable is to have your little leprechaun color the page. Coloring is an excellent way to work on those small motor skills and pencil grip. 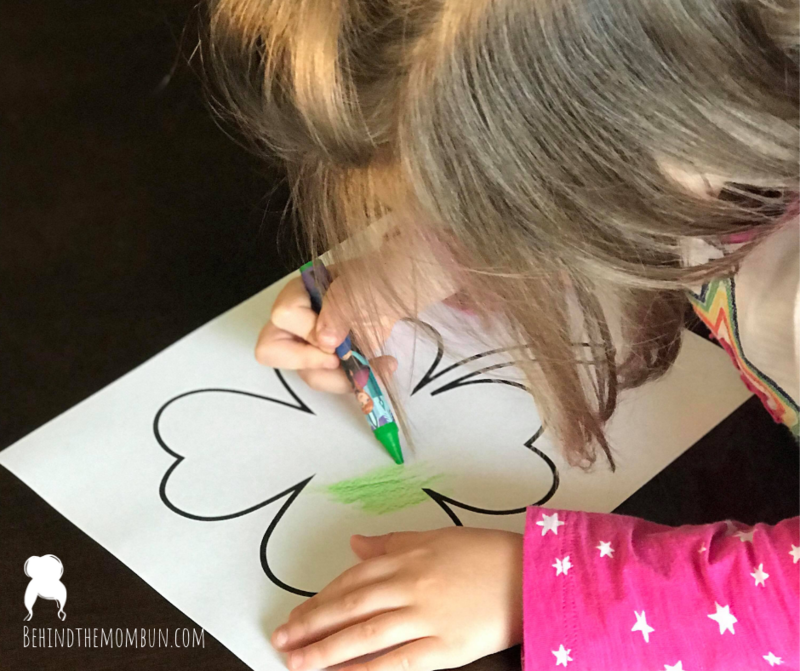 In my house, this clover is green so while my daughter is coloring we will talk about things that are green. In your home, the clover might be a rainbow. Whatever color it is, you can engage your child in a conversation and suddenly a simple coloring page becomes a learning opportunity. Finger painting is messy but oh so much fun. I like this craft because small toddlers all the way up to grade school kids will enjoy this craft. What is also amazing about finger painting are all the benefits that come from kids using their hands to paint. Finger painting is a form of sensory play, and sensory play is essential for brain development. So, grab some washable finger paint and let them have fun while growing their brain. Dot painting is a little neater than the finger painting, but it is still as much fun. I pulled what I thought was two different colors of dot paint and it turns out that Lime Green and Apple are the exact same color. Well played Dot-a-Paint, well played. I used regular printer paper for this craft, but if I were to do it again, I would use card stock. It is a little sturdier and can withstand 4.7 million dots in the same place. Grab a piece of green construction paper, patterned green paper, or tissue paper. Have your kiddo tear up small pieces but not too small, or they will be difficult to glue on. Teach them to use glue by place small glue dots in the four-leaf clover. In this activity, you can talk about the different sizes of paper using words like big, bigger, the biggest and small, smaller, and the smallest. If your kids are learning to use scissors have them cut out pieces instead of tearing them. The activities below are geared more towards older kiddos. My helper for this post is four, so we got as far as the construction paper, and she was done. Creating a word collage is an excellent way to check for understanding on a topic. If you are studying Ireland, you can have kids find words associated with Ireland. They can cut these words out and glue them in the clover. Are you looking for something a little less educational? 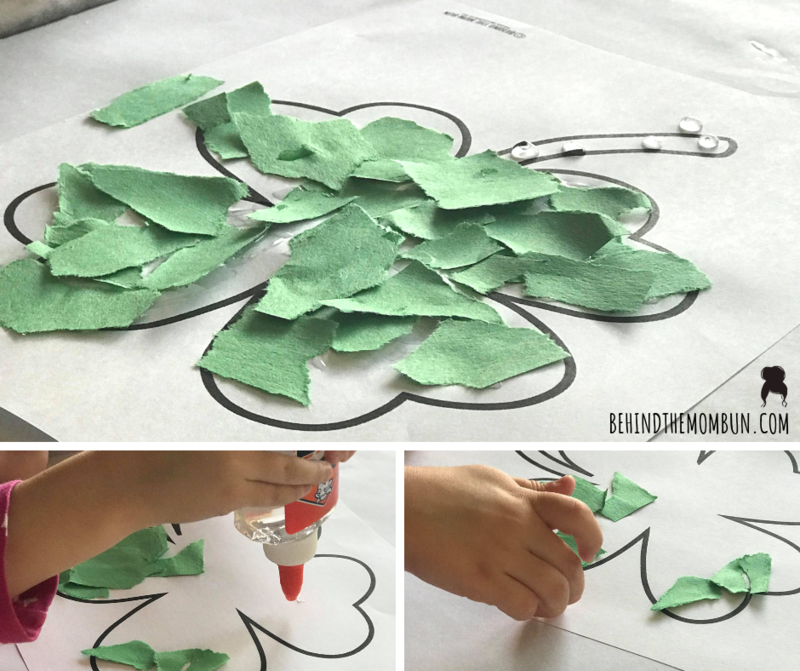 Have kids cut out words of things they are thankful for and glue them inside the clover. Instead of words, kids can cut out pictures of things they are thankful for or maybe pictures associated with St. Patrick’s Day. Mixed Media is bringing in various elements to make art. Grab various things that can be glued to paper and that are green. Have kids use paint, magazine clippings, sequins, etc. to glue inside the clover. This makes for an awesome mixed media craft. Books are an excellent way to teach kids about anything and everything. Pair one of these crafts with one of the books below for the ultimate learning experience. Grab your FREE Four-leaf clover printable here. We would love to hear your thoughts on these crafts. Please drop us a comment below. 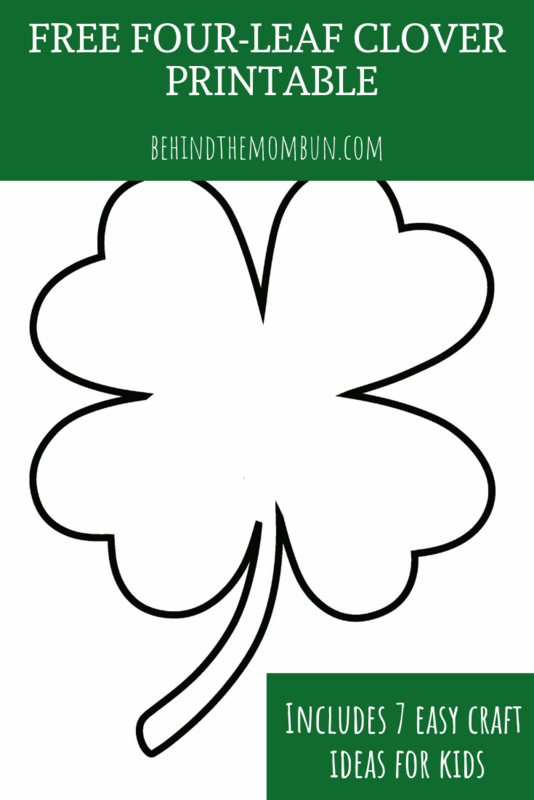 The post 7 Four-Leaf Clover Activities with ONE Free Printable appeared first on Behind the Mom Bun.